7 Summer Workplace Thank You Tips | gThankYou! Happy Solstice! Summer officially begins today — and with it the season when employee engagement commonly takes a nosedive. This year, don’t let disengagement win! 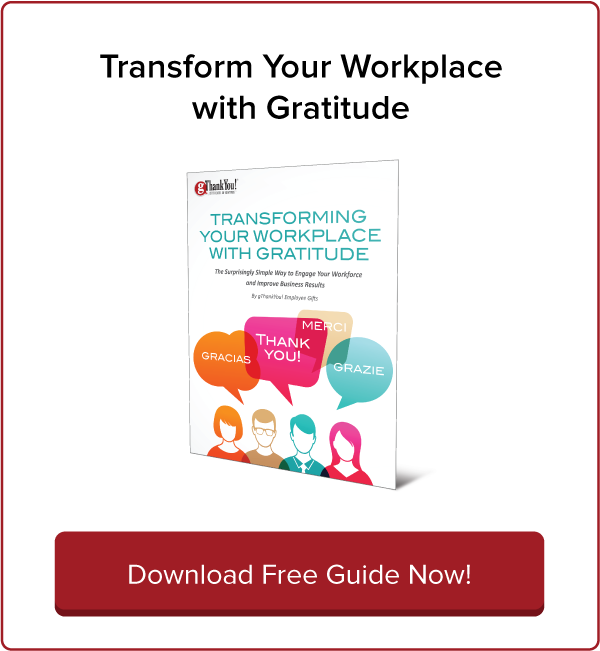 Keep employees engaged all summer with gratitude. Your summertime workplace Thank You engages employees for year-round motivation and happiness. But be sure you’re doing it right. The odds are your Thank You message may not be getting through to employees. “They distinguish between authentic appreciation and going through the motions,” White says. Authentic appreciation can’t be forced, but with regular practice, it’ll come naturally. It’s all about developing the right habits. Start today with a workplace Thank You plan for Summer 2016! Read on for tips and best practices. Employee appreciation can’t take a vacation over the summer. Keep engagement going strong with these summertime workplace Thank You best practices. At any given time this summer, it’s likely a good percentage of your staff will be away on vacation. Plan regular recognition events throughout the summer, so no one gets left out. Keep it low-key, relaxed and fun! And, don’t forget virtual employees. If you celebrate in the office, send Ice Cream Gift Certificates or a card signed by the whole team to remote workers so they feel valued and connected, too. Schedule mid-year check-in meetings with employees to tell them one-on-one how grateful you are for their work and to discuss goals for the second half of 2016. But Summer Fridays are increasingly incompatible with the modern workplace and “put too much onus on hours worked, and not enough on personal health and happiness,” Fast Company’s Scott McDowell writes. Instead, he suggests alternatives that empower and actually motivate employees, such as flex-hours or even turning off the clock altogether. The goal? Employees focus on the work, not hours logged — and on doing their best work as efficiently as possible. Are you expressing your workplace Thank You in a way that employees understand? The Thank You note is a great way to practice gratitude and it’s still a much-appreciated business tradition, even in the digital age! Thank You notes in the summer are a delight for employees. It’s unexpected! 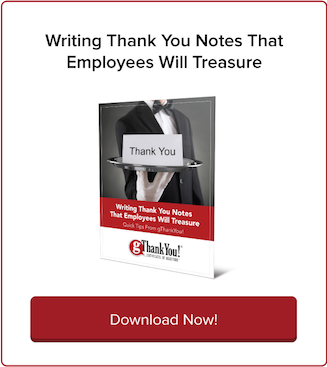 Typically we share Thank You notes at Thanksgiving and the winter holidays, or for big milestones like workplace anniversaries, so surprise your employees with “just because” summertime Thank You notes. Follow this guide for writing a great letter of appreciation. Outdoor employee activities like a softball league or pool party are the obvious choice for summer engagement, but you don’t necessarily have to go outside to enjoy the season — especially if it’s just too dang hot out! Baudeville has a six-day guide for recreating summer camp fun indoors on a budget. Share Thank You gifts that say “summer” — CSA shares for weekly produce boxes, tickets to a water park or outdoor concert series, or gift certificates for hot-weather treats like ice cream. Pick gifts that are practical and meaningful and that your employees can share with family and friends. 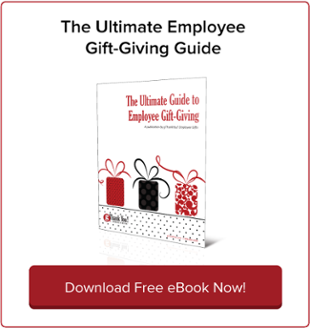 Make sure your gift also explicitly says “Thank You.” Sharing gifts is an important gesture, but the real impact on employee engagement is the note that accompanies it. Be personal, specific and to the point in your praise — just a sentence or two is fine! Besides the 4th of July, summer doesn’t have many official holidays — but that shouldn’t stop you from celebrating regularly with employees. Workplace celebrations energize employees and get them recharged to go back to work refreshed and ready to perform even better. Find or create holidays that fit your workplace culture and then plan a small celebration that always includes a Thank You element — a gift, a note, or words of appreciation from the CEO or other company leaders. 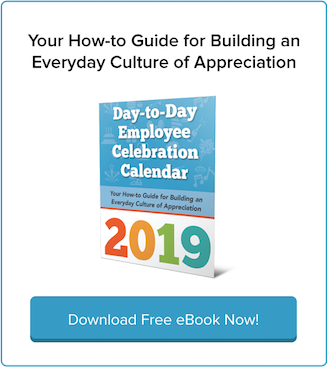 Are you up-to-date on the latest tips and insights for building a vibrant culture of engagement through employee gratitude, recognition and celebration? Be sure you are by downloading our popular free e-book, “The Top 20 Employee Engagement Blogs You Should be Reading”.